During cardiac arrest, the odds of survival decrease by 7-10% every minute, and the average response time for emergency personnel is 8-12 minutes. When CPR can be started right away, the patient’s chance for survival can double or even triple. * In a study reported by the National Institute of Health, survival rates for cardiac arrest were extremely low when bystander CPR was not administered. Seventy percent of non-hospital cardiac arrests occur in the home. Are you prepared to save the life of someone you love? Most people know they need to have CPR training, but aren’t sure how to choose a CPR certification class. To help you get prepared, we’ve answered some common questions below. What level of CPR training do you need? 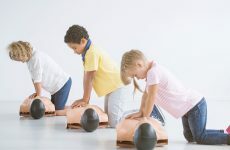 – If you have young children, or look after them as part of your job, choose a course that includes CPR training for infants and children. – If you have ready access to Automated External Defibrillator (AED), you’ll want to be trained in the use of this life saving piece of equipment. Some jobs (lifeguards, teachers, fitness instructors) also require certification and training in AED use. Ask your current or potential employer to confirm if you need this skill. – Healthcare providers such as EMTs, medical assistants, nurses and paramedics typically require more extensive CPR training. Look for courses with names like: Basic Life Support (BLS) certification or CPR for Healthcare Providers. What’s the difference between American Heart Association, Red Cross and Emergency First Response? The American Heart Association (AHA), Red Cross, Emergency First Response and other reputable CPR course providers adhere to the International Liaison Committee on Resuscitation (ILCOR) guidelines. ILCOR is an international organization made up of various resuscitation organizations from around the world. In collaboration with the AHA, ILCOR produced the first International CPR Guidelines in 2000. Will I have to give mouth to mouth? Current guidelines recommend CPR providers receive training in providing rescue breathing. Most complete CPR classes include mouth-to-mouth training on a sanitized CPR mannequin. 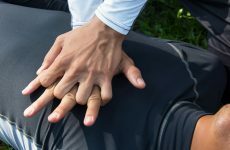 Some people may feel uncomfortable learning this traditional form of CPR, but a few moments of unease are not a good reason to forgo training altogether. A CPR class also teaches you how to perform life-saving chest compressions. If you have concerns about providing ventilations in a real emergency, you can forgo this step and offer continuous chest compressions. According to the AHA: hands-Only CPR carried out by a bystander has been shown to be as effective as CPR with breaths in the first few minutes during an out-of-hospital sudden cardiac arrest for an adult victim. Are online-only CPR courses okay? Beware of any CPR course with exclusively online training. It’s impossible to learn the skills you’ll need and very few employers accept online-only CPR certifications. CPR is a physical skill like learning to dribble a basketball, and can only be learned with hands-on practice. Look for a CPR training program that includes hands-on training with an instructor. 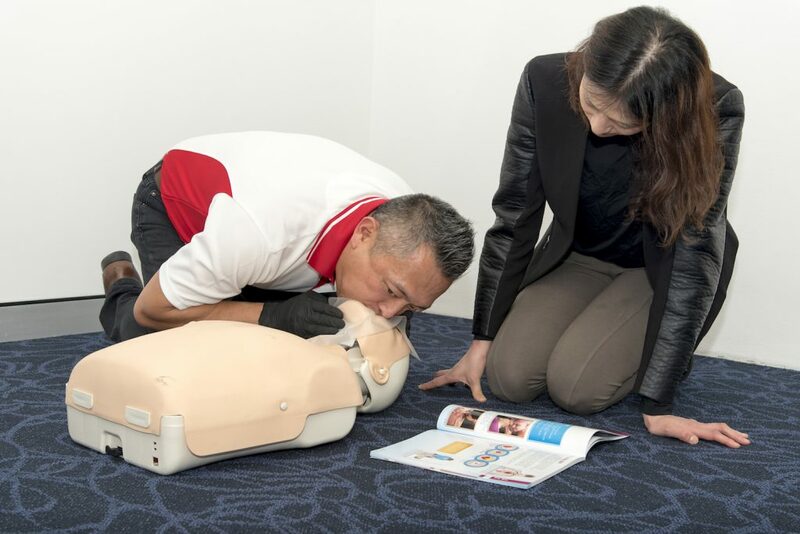 In an EFR CPR course, you’ll practice on a specially-designed CPR training mannequin until you feel comfortable and confident of your skills. Avoid being scammed. Learn more about why hands-on CPR training is important. In the Emergency First Response Primary Care (CPR) course, you’ll learn how to respond to life-threatening emergencies. Using a combination of home-study and in-person training with realistic scenario practice, you’ll develop the confidence and skills you need to provide care in an emergency situation. Serious Bleeding Management, Shock Management, Spinal Injury Management, Conscious and Unconscious Choking Management. For individuals who only need CPR or CPR/AED training, we offer the Emergency First Response CPR & AED course. This class teaches the basic principles of CPR and how to deploy and use an Automated External Defibrillation (AED) in an emergency. This course is also a popular choice for people who need CPR (re-)training. 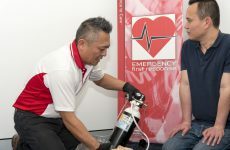 Find an EFR course near you.